Pre-Race Packet pick up: Friday, May 3, 2 p.m.–7 p.m.
*The runner/walker in Star Wars attire voted best dressed will receive an award! The McCarren 5K & 10K was originally launched in Greenpoint/Williamsburg in 2012 as a 5K race/walk. It swiftly captured the hearts and feet of local runners and walkers including powerhouse running club, North Brooklyn Runners (NBR) with its rockin' route that goes to the water's edge and through new and old neighborhood charms. The heart part is this run/walk also supports a great local cause: supplemental summer camp for local community youth! For 2019, a 10K loop has been added due to popular request. YOUR PARTICIPATION ENABLES A FUN AND ENRICHING SUMMER CAMP EXPERIENCE FOR OUR LOCAL YOUTH! Day trips to museums, plays, state parks and other fun and engaging activities by local youth majority from low/moderate income households. Call 718-388-5454 ext 157 or 167 for assistance or more information. 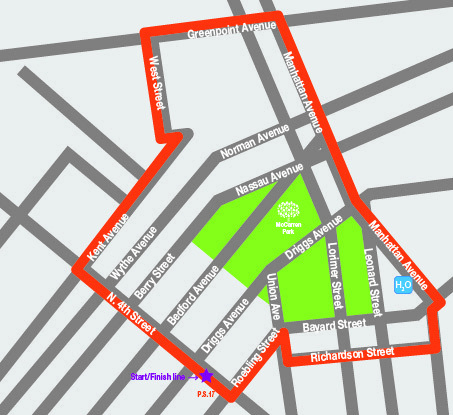 5K: One-loop (Two loops for 10K race), 3.1 miles, electronically timed, diverse and certified course takes you on a tour of North Brooklyn’s hippest and old school streets before returning to the finish for a post-race refuel and awards. Scroll below to view race details. Participating runners' skill levels range from professional athlete to the fair weather and capricious exercisers. So you can run to beat the clock or slow stride it to the finish line. 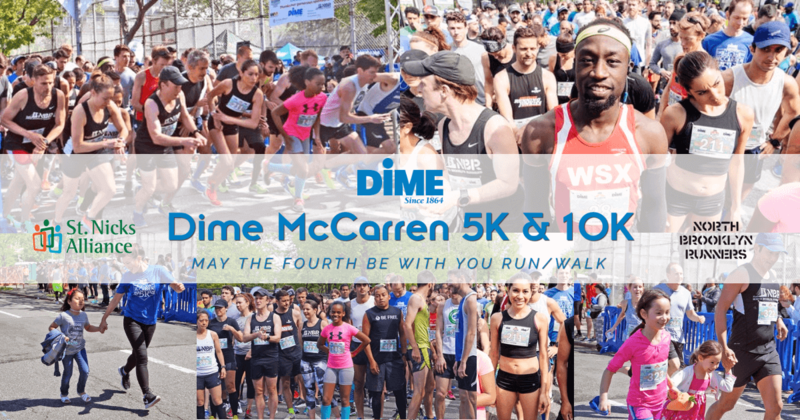 The McCarren 5K & 10K has a speed for all abilities. It's a family fun run, and many families run in their own pack. And because the proceeds go to fund local education services, it's a win-win for everyone! The official time limit for runners is 1 hour for the 5K and 2 hours for the 10K. Walkers will not be timed. The runner/walker in Star Wars attire voted best dressed will receive an award! The awards ceremony will begin no later than 10:15 a.m.
All registrants will receive email notification on race packet pick up location. A great Tech t-shirt will be the giveaway for this race and our usual post-race spread will greet you at the finish line. Bag check and toilets will be provided. Water will be available on the course. Please check MTA Trip Planner for up-to-date and detailed mass transit directions, and Google Maps for driving directions. Due to the L-Train reconstruction and service shut down on weekends, driving, cycling, MTA bus or cab service are best options.